Domaintechnik Review 2019: Is Domaintechnik a Good Hosting? Founded by Friedrich Ledl in 1999, Domaintechnik is a leading Austrian hosting service and an ICANN-accredited domain registrar. The company aims to provide reliable and high-quality web hosting in addition to enterprise storage solutions at the lowest possible prices. Austria-based Domaintechnik provides high-speed SSD web hosting with 99.9% availability, SSL certificates, cloud servers, and domain registration services along with email exchange services to mostly German-speaking customers. Their hosting packages are ad-free and backed by a 30-day money-back guarantee. Some of their key customers include Alps Hockey League, University of Salzburg, Greco International, and OMV. 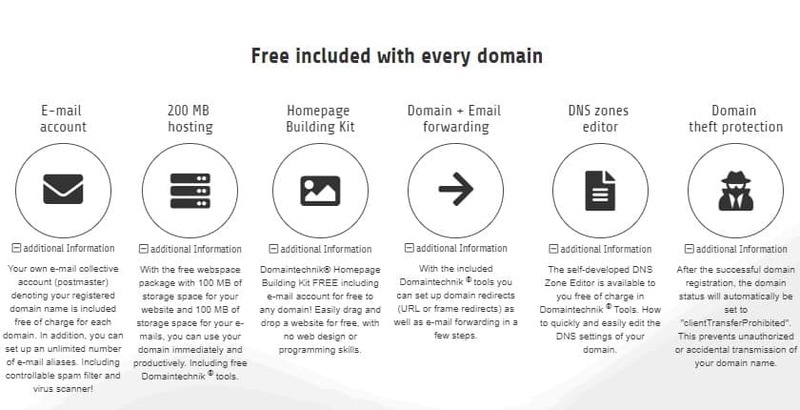 Domaintechnik gives you a chance to sign up for their free starting package which includes 200MB storage in SSD and an email address with your domain. With this package, you can set up a website with a couple of subpages on 100MB space and allocate the other to your email address. When you scale up, to WordPress hosting or any of their premium plans, you can build a database-driven website, blog, or online shop using WordPress or any of the free web apps that are available under their proprietary control panel. You don’t need any programming skills to create a website. Within minutes of joining the site, you can build a functional website with e-commerce capabilities using their free Homepage Building Kit and secure it with SSL. Free with every domain, this intuitive builder has a user-friendly interface with multiple layouts and design options. Just select the design/theme you like, insert content, optimize it using their SEO engine tools, and publish your website. It’s simple as that. Domaintechnik is one of the few, if not the only, Austrian hosting companies that offers premium hosting packages with no hosting setup fee, no tricks, and no hidden costs. All of their hosting packages include a 30-day money-back guarantee. That means you cancel your plan if you’re not happy with their service and get a refund. It’s also easy to upgrade. By scaling up to any of the higher level plans, you’ll unlock more resources and features and even get the chance to order additional services and storage at any time. Besides getting access to an extensive online manual, customers enjoy unlimited email support 24/7 and free telephone support during office hours. Live operators will answer your questions about products and resolve technical problems. Over 95% of inquiries are answered within 15 minutes and I believe that’s why customers hold the technical support team in high regard. With redundant and SSD-powered servers in Austria, Domaintechnik guarantees you optimum connection, feature-rich hosting packages, and true local support at all levels. Get a Free SSD-powered Hosting Account! 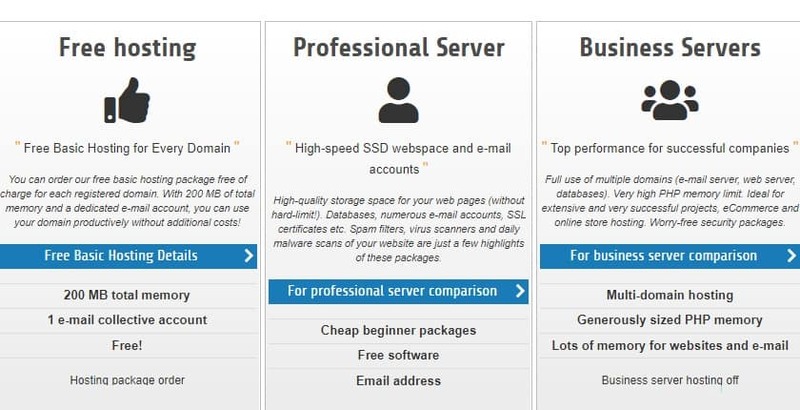 Wondering how Domaintechnik stacks up against other Web Hosting companies? Enter any other Web Hosting company and we will give you a side-by-side comparison.